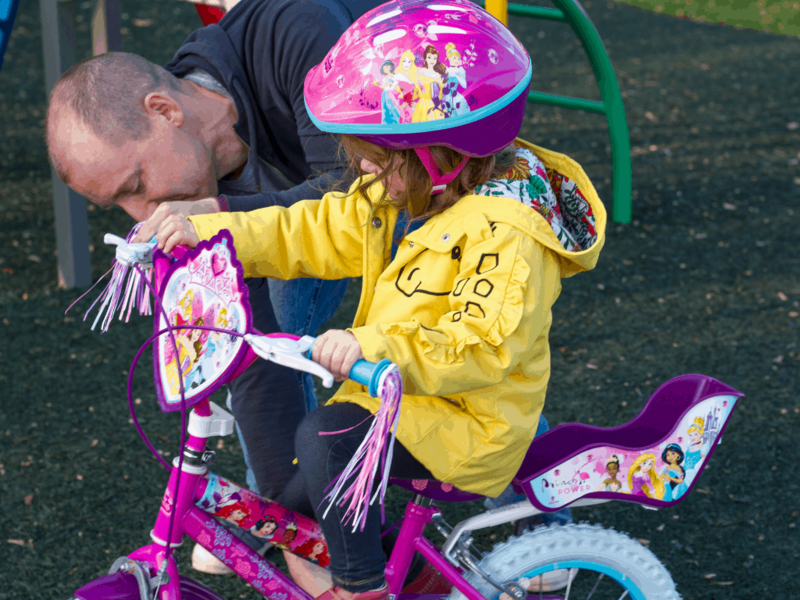 Receiving your first bike is a rite of passage. I remember mine vividly – a red BMX that I had been dreaming of for months. I ran downstairs one Christmas morning when I was 5 years old there it was, gleaming brightly under the tree. On Christmas afternoon I took it out for a quick spin and promptly fell into a patch of stinging nettles – but I loved it all the same. Halfords got in contact to ask if we wanted to be part of their Christmas campaign and this happened just a few days after Littlest asked if Santa could bring her a bike. I knew it was meant to be. I told Littlest that Santa would be sending her a bike to try before Christmas and that she could pick which one she wanted. Of course, she picked the one with the most pink and purple imaginable. It would not have been my choice (the red BMX may suggest that) but her eyes lit up when she saw it. These services are available on all kids’ bikes and scooters, making picking the perfect totally stress-free. Halfords are also now offering a new service – Kids CycleCare and Kids ScooterCAre. Simply pay a one-off fee to be covered for the year either when you collect their new bike or scooter. Benefits include: unlimited puncture repair, unlimited safety checks and adjustments, free fitting on parts and accessories, 10% off accessories at point of purchase of CycleCare, 10% off parts for the life of the plan, and a bronze service at 12 months. 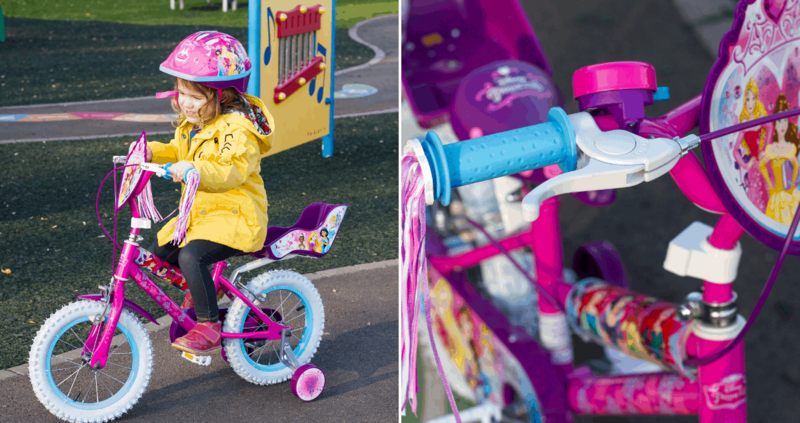 It is available on any new Halfords kids or junior bike up to, and including 24” wheel and kids’ scooters. This means we can take Littlest’s bike back for a safety check and adjustments once she has been riding for a few weeks. Do not forget to check back in on Someone’s Mum’s Social media and we will let you know how it went. Littlest had a great test run on her bike and was peddling right away. We have now stashed it away, ready to be returned on Christmas morning (she has taken that well so far!) I cannot wait for her to start riding it properly. Giving Littlest a gift that I know will give her hours of fun gives me so much joy. Knowing that it has been assembled and checked meticulously gives me great peace of mind. Hopefully she will gets years of fun out of her very first bike. 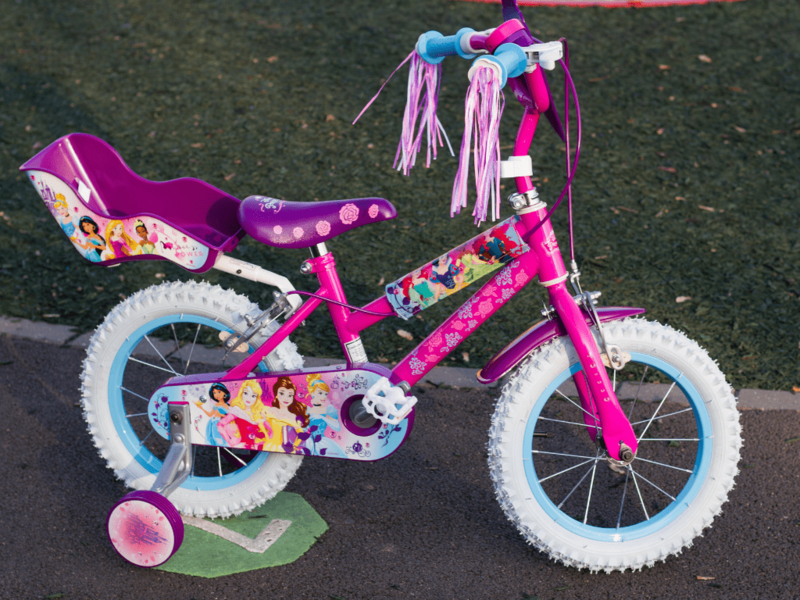 Please note, Halfords gifted us this bike and the Kids’ CycleCare for the purposes of this review. All opinions and images are my own. For more information, see our Disclosure Policy.